This award is presented to a chapter for work done as a community project to enhance the community and increases the awareness of NARI in the community, both locally and nationally. 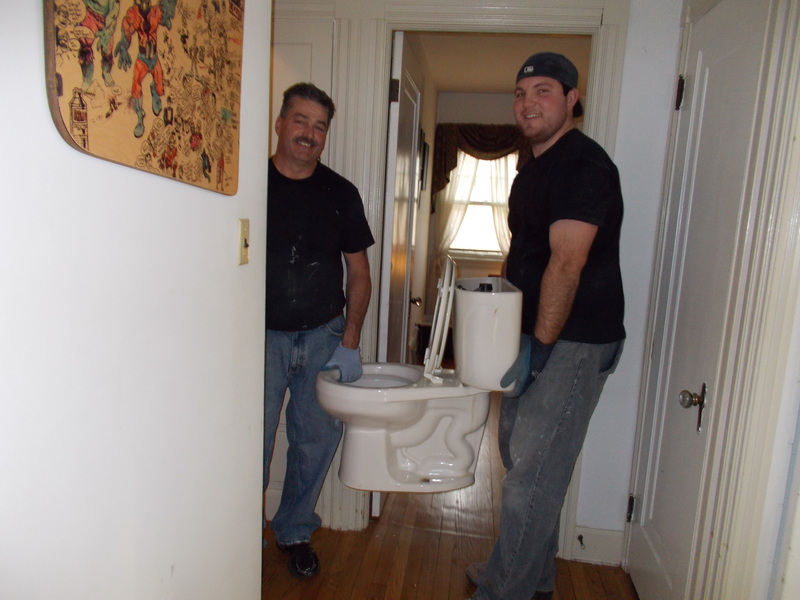 Brian Malion (center) with NARI volunteers who helped remodel his bathroom into a more safe and accessible space. Brian Malion, a Cleveland resident, had been extremely active working as a chef and a corporate travel consultant. He also enjoyed traveling and a variety of hobbies. While participating in a fencing class, he fell and hit his head. That led to some tests, an MRI and to his diagnosis of progressive multiple sclerosis (MS) in October 2011. Brian’s mobility deteriorated rapidly, and within a year, he went from using a cane to a scooter to a power wheelchair. The National Multiple Sclerosis Society’s Ohio Buckeye chapter reached out to NARI of Greater Cleveland’s Community Outreach Committee, asking them to completely remodel Brian’s bathroom. 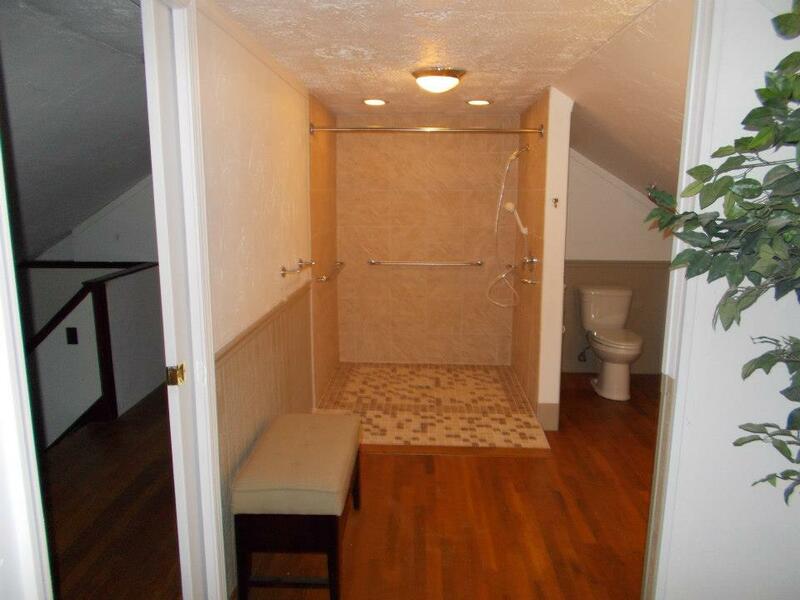 Brian’s remodel included installing an accessible sink, high-rise toilet, roll-in shower, grab bars, new flooring, new lighting, new cabinets, and new countertops along with a wider doorway for entry into the bathroom. 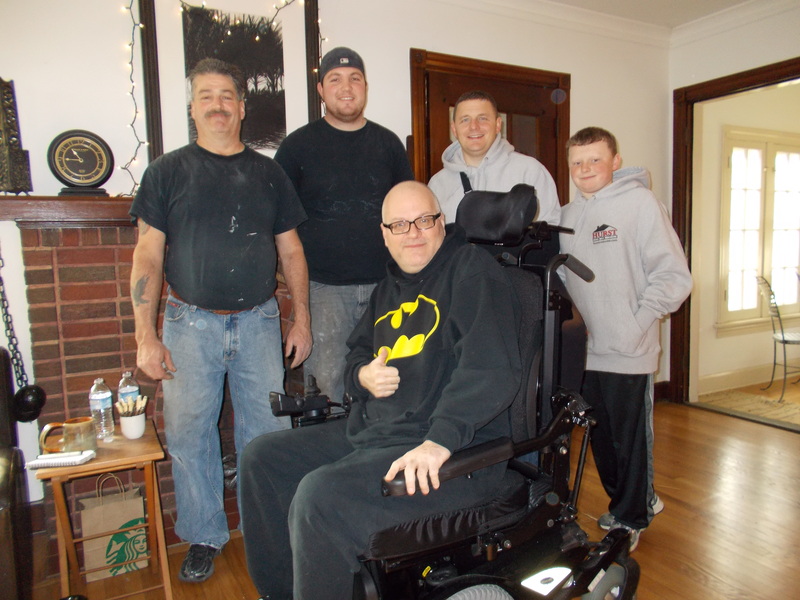 The renovation allows Brian greater safety and independence to remain in his home.